Whether it's a small get-well arrangement for a friend or a huge wedding extravaganza, call or visit us at TWIGS & VINES FLORAL... We look forward to creating a design just for you! Proudly serving the Appleton, Wisconsin area, we're a full-service local florist that is family-owned and operated. We hope you enjoy your online shopping experience with secure 24-hour ordering right at your fingertips. 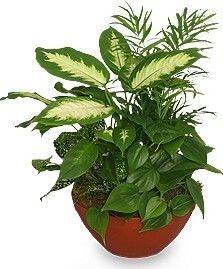 If preferred, you may call us to place orders direct at 920-734-2303. Our staff is ready to assist you with placing orders for local delivery or anywhere in the world. Not sure what to send? We'll gladly offer you creative suggestions! 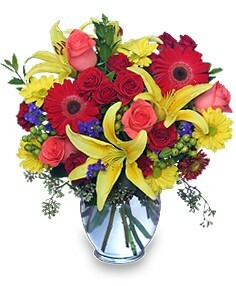 For your convenience, we also do daily delivery to local funeral homes and hospitals. Ask about our Weekly Business Arrangements - provided on a contract basis for hotels, office buildings, restaurants, churches etc. 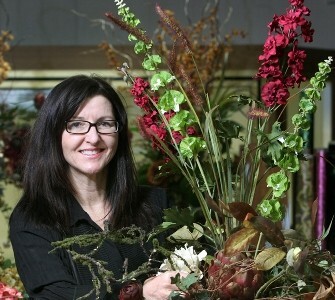 Hello, I'm Judy Corrigan, designer and owner of Twigs & Vines Floral. My specialty is custom fresh and silk flower designs. For over 30 years, I have been creating arrangements for weddings, parties, home decor, corporate functions - well, the list is endless! I enjoy creating a variety of styles and love to work with a wide range of florals and foliages. Simply put - flowers are my passion! * Order your Wedding Flowers and Party Flowers from Twigs & Vines Floral. We will ensure your special day is a blooming success! Call us in advance at 920-734-2303 to set up an appointment for a consultation. We also provide flowers and decorating services for Bar/Bat Mitzvahs! * Shop for a variety of Unique Gifts, including balloons, fruit baskets, gourmet baskets, home accents, candy & chocolates, silk flower designs, dried floral arrangements, holiday home decor, gift cards and more! Thank you for visiting our website for flowers delivered fresh from a local APPLETON, WI florist and easy online ordering available 24 hours a day.